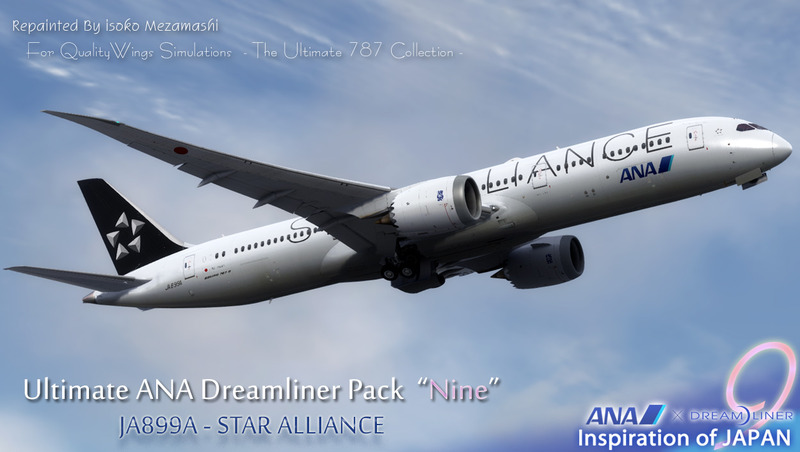 Isoko, not to detract from other painters, however I gotta say the amount of time and detail you have put into your ANA fleet, is FIRST CLASS all the way! 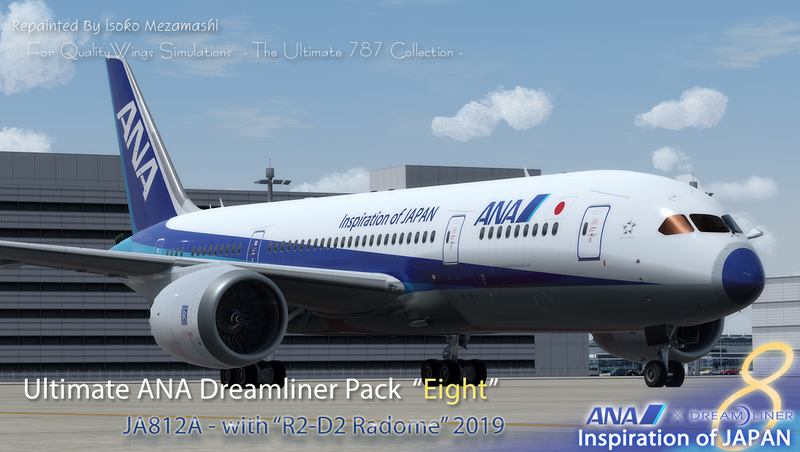 B787-9 All Nippon Airways JA890A Dirty ver. B787-9 All Nippon Airways N1015B Farnborough AirShow 2016 Demonstrator. 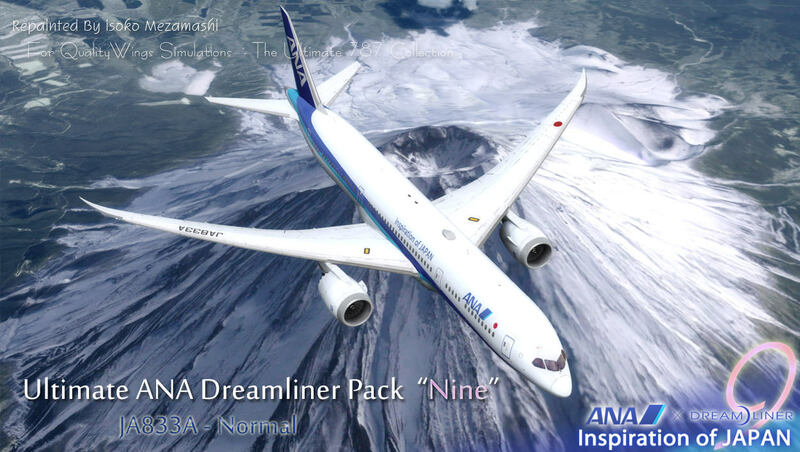 Boeing 787-9 | All Nippon Airways JA882A ANA's 50th 787 - INT Middle Range. 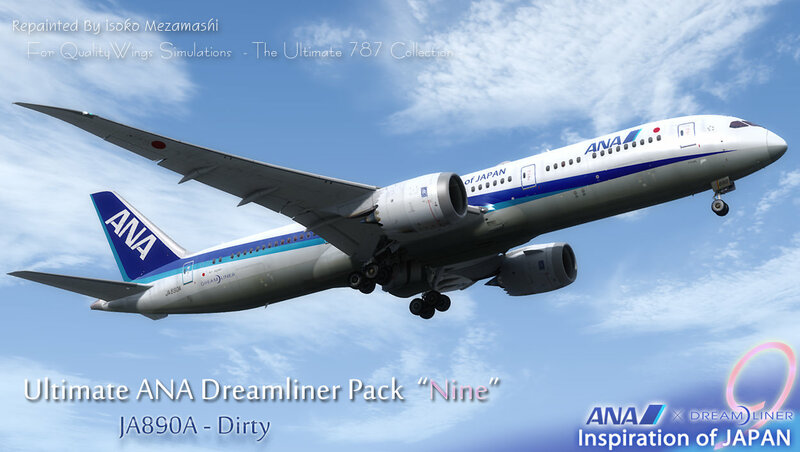 Boeing 787-9 | All Nippon Airways JA890A (Dirty) - INT Middle Range. 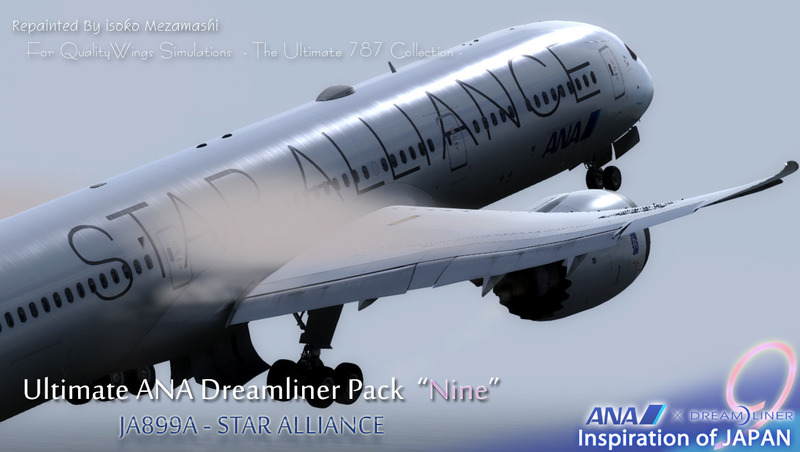 Boeing 787-9 | All Nippon Airways JA899A STAR ALLIANCE - INT Middle Range. 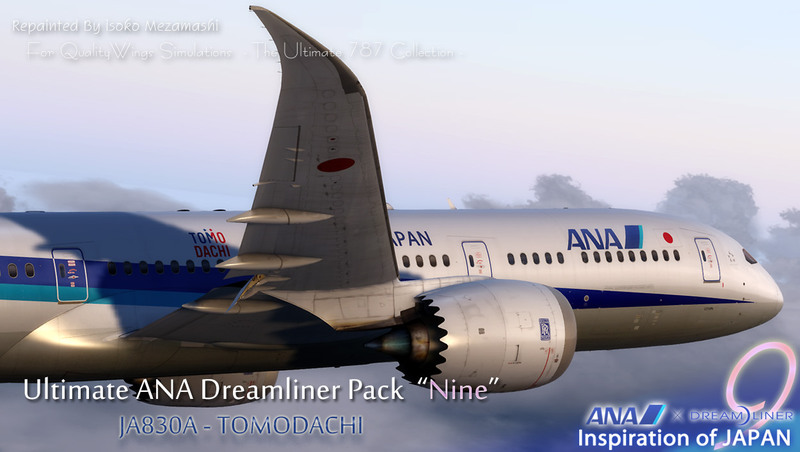 Boeing 787-9 | All Nippon Airways JA873A - INT Long Range. 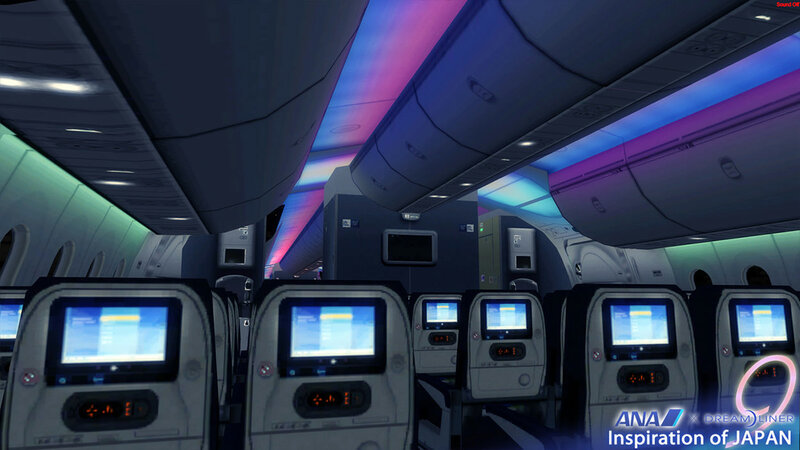 Special Cabin Texture & Illumination. 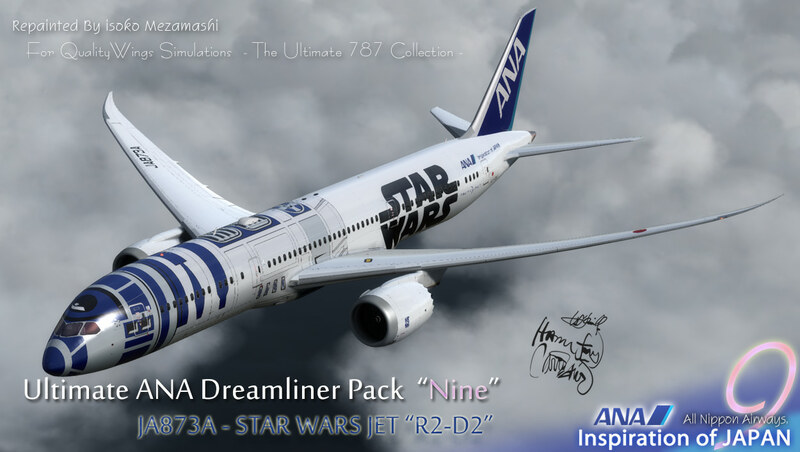 This PACK is a limited version. Since it will be deleted at the end of October please download it as soon as possible. Distribution of the limited edition has ended. Thank you for many downloads. There is no republishing of this data. Please refrain from delivering data between individuals. Domo Aregato! Isoko-san. First class stuff!!! 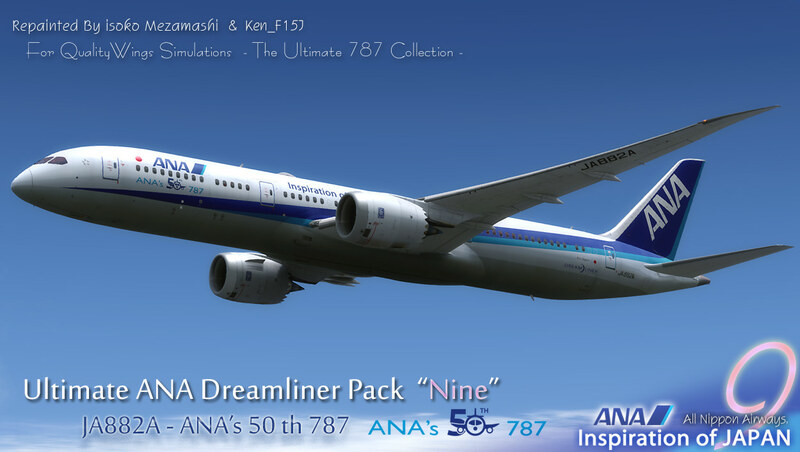 Had to resize them to 2048 cuz I was hitting the VAS limit on FSX, but they still look awesome!!! The limited pack will be deleted at the end of the month. If you want this, please download it as soon as possible. * There is no re-release after deletion. 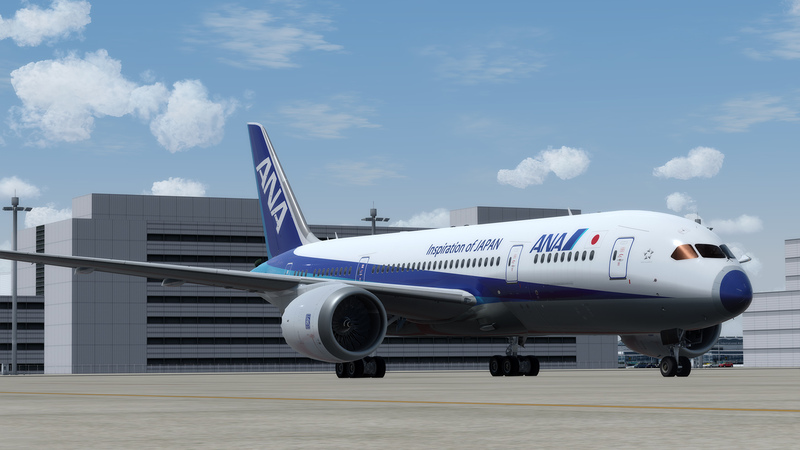 I am considering releasing a low resolution texture version for FSX. 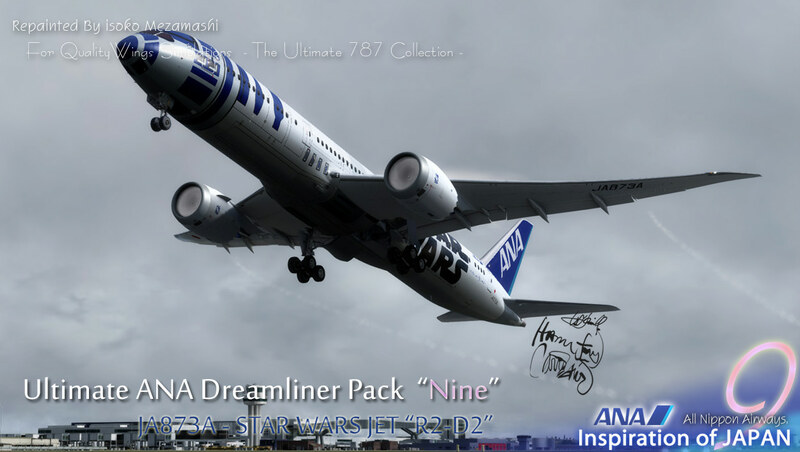 But that will also take some time and I will not be currently planning to release a limited version of FSX. Definetly the best looking set on the Dreamliner! Thank you very much Isoko! 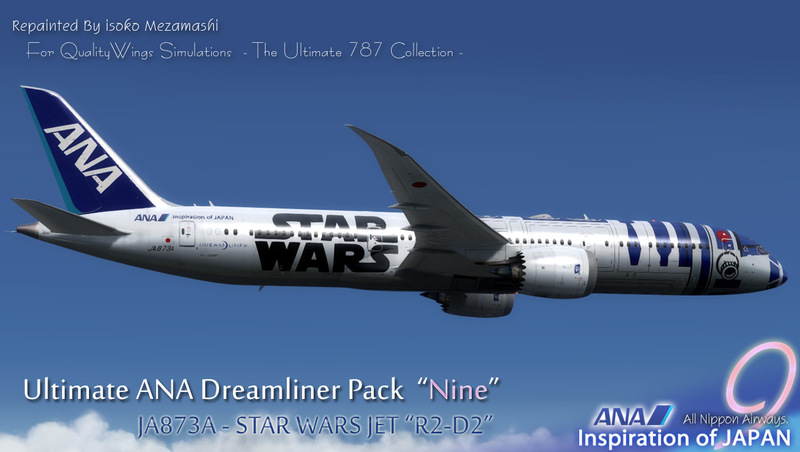 Could maybe someone please send me the star wars repaint?? Limited edition has been released for a limited time, for various reasons. Also, as stated in my Post, I also prohibit the transfer of this data between individuals. 1. 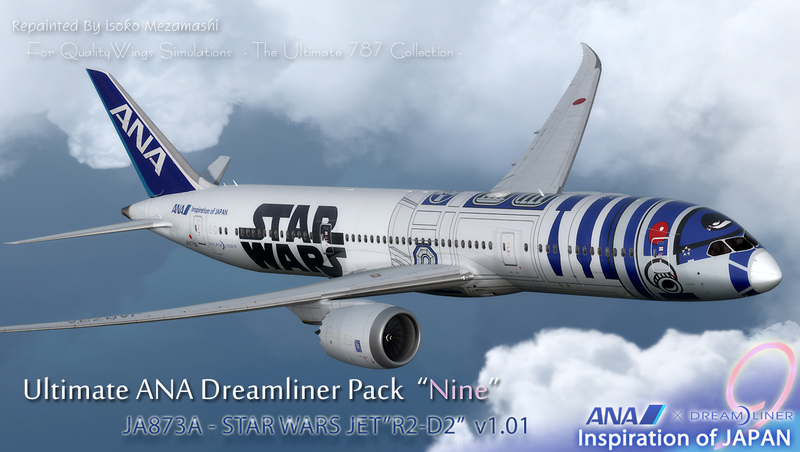 Is the repaints file download accurately completed? and unzip it with WinRAR correctly? 2. Have you installed to P3DV4 using QW dispatcher? Did you accidentally install to FSX? [texture.ANA_JA8xxx ....] Does the folder exist? And is there a texture file in it? 4. Is the contents of Aircraft.cfg correct? If there is no problem in all, I will recommend contacting the QW support team. Hi thanks for the clear instructions. I got rid of the problem by reinstalling the the product. However I realized that the QWPAS is set to the default sound instead of the ANA folder. Can this be changed as I have custom ANA QWPAS. As mentioned earlier, some paints have been made public for various reasons. Only people who can understand my circumstances should use my paint. I was planning to release the data that updated them this time, but should I not? I understand very well what you want to say. I also want permanent data distribution, but I have decided that various considerations are necessary. Because I heard a lot of hope of those re-publication this time, I planned re-publication in the form of update. Ok, sounds good, please disregard what I said then - good luck! Add variations of the two aircraft that exchanged RADOME in a friendly way. 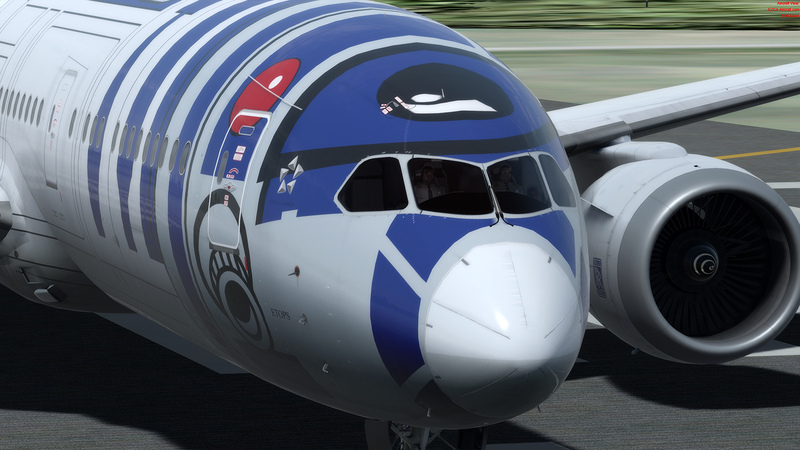 +2 Bonus Livery. 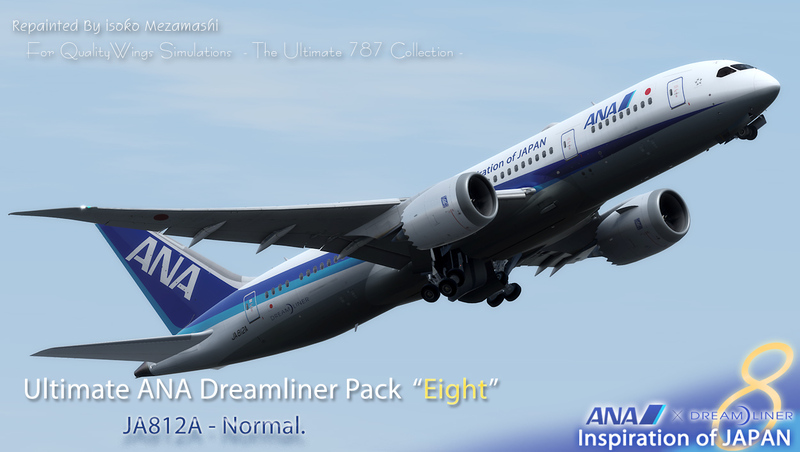 * : newly added Livery. Thank you for the many re-release requests for my paint. Now for everyone, in the form of updates, these Packs are ready for release. I am sorry to have kept you waiting so much time. I am pleased to be able to meet your wishes. And, unfortunately, it will be a limited release this time too. I am thinking about a two-month release period. Please download only if you agree to these policies. and enjoy my paint! Download Here. Any corrections or difference on the.. 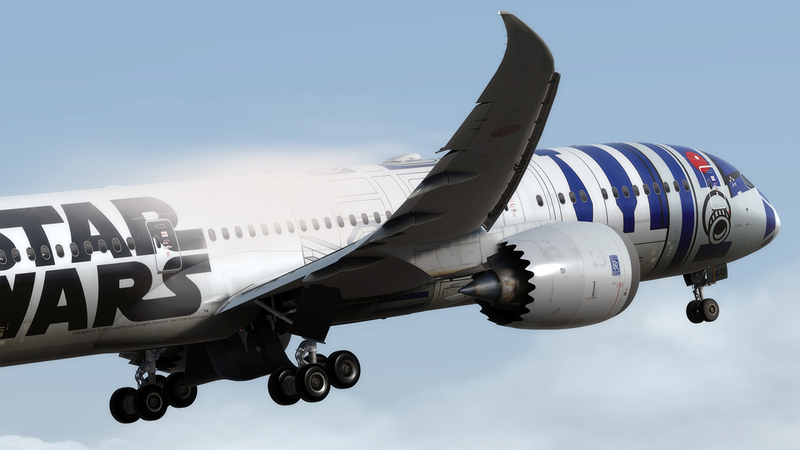 This update is all done except for the 2 bonus Livery. 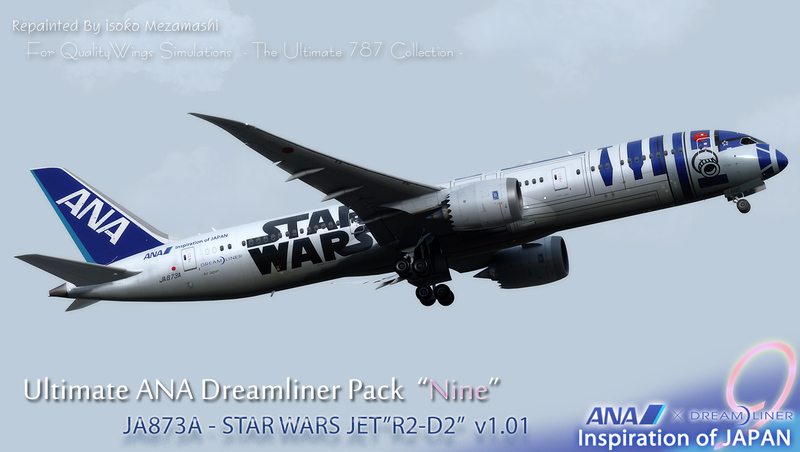 it's a trivial update, but it has become more faithful to the real aircraft. It is recommended to reinstall them after uninstalling them.